This 4 weeks residential Yoga Therapy Course is a wonderful possibility for certified yoga teachers to explore the healing potential of holistic yoga science. The course offers an understanding and integration of yoga therapy principles. It consists of the application of yogic methods and techniques for specific human ailments. By the end of this course students will have a solid and rich practical and theoretical knowledge and confidence for healing and handling the different diseases and general health issues plaguing humanity today. What is integrated yoga therapy? Each kosha has unique features and therefore requires a dedicated set of practices and techniques for balancing it. A disturbance in any one of the koshas tends to bring out imbalances in the other koshas. Likewise, a beneficial effect or healing in any one of the koshas, will have a corresponding beneficial healing in all other layers. Yoga therapy cultivates total body-mind integration and has very specific techniques for each of the five koshas, which help to balance and integrate them. Yoga therapy is applicable to a great variety of increasingly common modern day conditions such as Back pain, Asthma, Heart diseases, Spondylitis, Migraine, Anxiety, Depression etc. This is something that Western medicine with all its advances, has been unable to achieve; serving to treat symptoms only, but not the underlying the root cause of the disease. The result of successful yoga therapy is the fully balanced personality, free from illness and health issues. 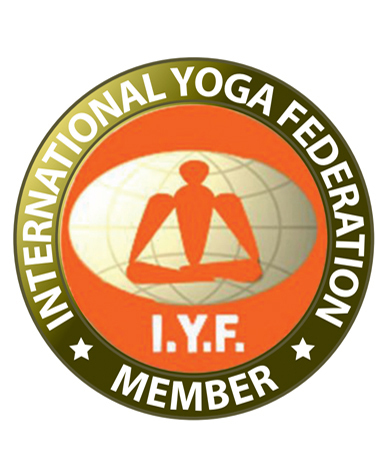 Upon successful completion of the course, students will receive a diploma registered with Yoga Allliance Professionals. This diploma is a highly valued and internationally recognized. Saji is practicing yoga since the age of 17 and he graduated in 2001 from VYASA University (Bangalore, India), where he studied Yogic Sciences, Yoga Therapy and Naturopathy. But Saji’s background in the traditional lineage of Bihar school of yoga (founded by Swami Satyananda Saraswati) has given him the deepest experiences which goes way beyond the academic knowledge. Since more then 20 years of teaching with open heart, Saji helped to grow to many very dedicated yogis and teachers all over the world. Travelling with different seminars, retreats and workshops Saji also gives a place that brings more balance and upliftment with tools of holistic yogatherapy to people who come to his private consultations. Shajesh started traditional tantric study in 1993 under Nath tradition with his master in Kerala. Now he is practicing and share Tantra wisdom and techniques since more then 20 years. The Nath tradition is a timeless lineage of spiritual teachers, connected with infinite consciousness through the greatest yogis of all ages. Ancient practices of Tantra Vidya have been deformed in the western world and Shajesh cherishes the idea to bring back the purity and power to authentic teachings mainly through the practice of mantra japa and meditation. Maitri is involved in the path of yoga and ayurveda since her tennager. She is presently living in between France and India, practicing and teaching integral yoga through all its traditional aspects. Still mantra yoga remains Maitri’s main focus in sadhana, and main healing practice. She had chance to learn from talented teachers and always happy to share the vibration with yoga practitioners. Being a student of Saji and yogatherapist since several years Maitri is also sharing her experience in some specific branches of yogatherapy.